SNS® Pilot®2 Sport: Technical and responsive performance outsole. 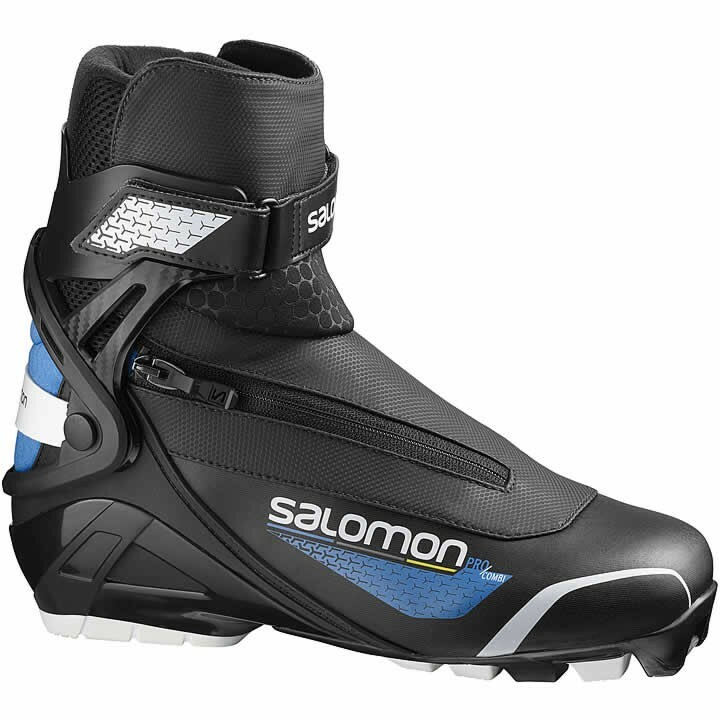 Pivot point is located 10mm behind the boot's front edge to be closer to the metas. New materials in order to guarantee a perfect supple classic flex. Advanced 3D Chassis: Fiberglass reinforced plastic chassis, allows strong heel support and better torsional rigidity to optimize power transfer. Combi Flex: Ideal ratio between torsion rigidity and forefoot rolling to practice both skating and classic. Custom Fit: Combination of the comfort foam, thermo moldable foam and lycra which provides the ultimate fit and comfort to every foot morphology. Flex Areas: Soft material inserts for a better ankle freedom. 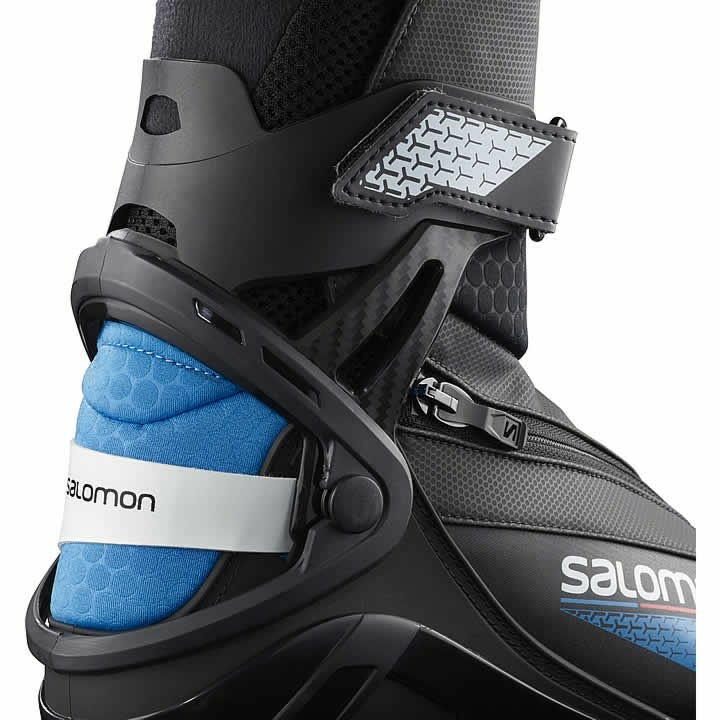 Dissociated Quicklace: Salomon patented technology, the Dissociated Lacing System allows you to adjust forefoot or upper foot tightening by pulling one part or the other of the Quicklace. Removable Energyzer Cuff: Combined with the powerful Active Cuff, the removable supportive Energyzer provides extreme lateral support as well as better muscle relaxation during the kick phase. 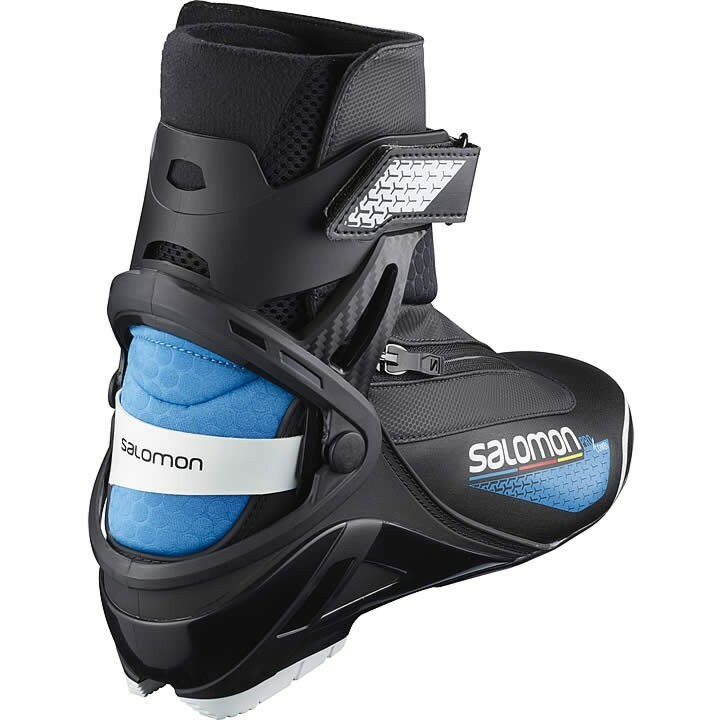 It can be removed for classic style skiing on combi boots.